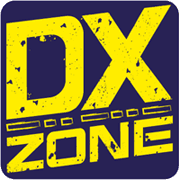 2D0YLX Amateur Radio Blog - Amateur Radio Station Blog from the Isle of Man (by 2D0YLX) all things radio related with links to many sites on and around te island. G7IZU RRD WEBLOG - Information related to the G7IZU Radio Reflection Detection page. The detection of meteors, aurora and other phenomena through the use of signals reflected from ionization in the upper atmosphere. M0BGR Dave's Amateur Radio Blog - This is the blog for the M0BGR Amateur Radio Station. I am based in London, England but frequently go out mobile or portable. M6CEB UK Amateur Radio Station - UK Amateur Radio station interested in radio.